UAE remained almost a tax free country since past several decades. It was not only due to the revenue it generated from oil and petroleum export but even emirates with less oil resources (e.g. Dubai) retained its economy free from taxes in order to attract entrepreneurs and tourists from all parts of the world. 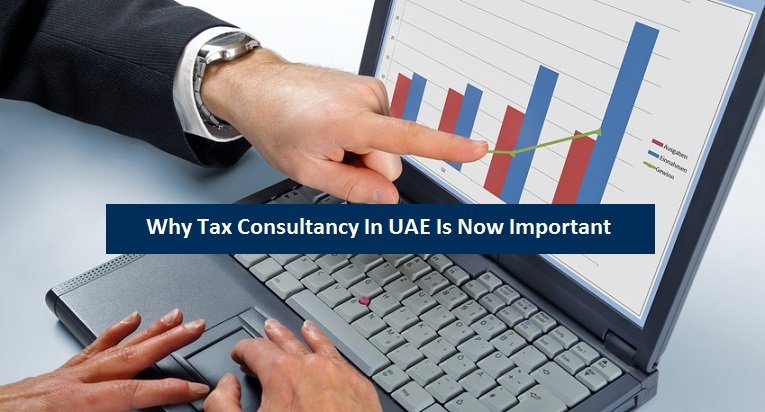 Due to the tax free economy, there was no or very little importance of tax consultancy in all the emirates of UAE. But the situation altered in 2014. It was the time when demand of oil and petroleum decreased in international market due to several reasons. This ultimately reduced price of oil and petrol. Efforts by OPEC (oil and petroleum exporting countries) to increase the prices of oil and petroleum products remained completely unsuccessful and the petroleum prices fell continuously in the international market. It was a wakeup call for all the GCC countries that were enjoying high petroleum prices since decades and were completely or heavily relying on oil and petroleum products for growth of their economy. It was now evident that chances of rise of petroleum prices in near future are minimal and the oil-exporting countries have to think and act immediately to focus on other sectors of economy and minimize their reliance on oil and petroleum sector. As compared to most of the other GCC countries, UAE (especially Dubai) wasn’t entirely dependent on oil and petroleum exports but even then the energy sector was playing an important role in stabilizing economy of the country. Apart from taking several other steps to diversify their economy, UAE and other GCC countries also decided to implement tax on their people for the first time in several decades in order to counter the alarming situation. It was decided that value added tax (VAT) will be implemented in all the countries of GCC. UAE and Saudi Arabia took the initial step and they decided to introduce VAT in their countries from 1st of January 2018 while other GCC countries also announced to implement the same tax later in the year. Prior to this tax, both UAE and Saudi Arabia also imposed “sin tax” on tobacco, energy drinks and carbonated drinks from 1st October 2017. Later, companies and individuals in UAE with annual profit of certain level were also directed by the government to register for VAT. As the date of implementation of VAT in UAE is coming closer, the things are getting more complicated for common people and businessmen. Several such items (like food items) that were previously considered exempted from VAT are now found to be included in the upcoming tax. Every person in UAE (Emirati citizens, foreign residents, businessmen) is now trying to find out the impact of VAT on his/her daily life or business. This current situation is making the job of tax consultants in VAT more important than it was ever before due to previous tax-free economy. Not only that people are currently inquiring about the tax but there are much chances of foreign investment in UAE in future also and these foreign investors will also require acquiring services of tax consultant to solve issues related to taxation in UAE. Therefore, the citizens, residents and entrepreneurs in UAE will require services of tax consultants on regular basis from now on. If you are one among those who require the services of tax consultants in Dubai or any other emirate of UAE, then you can contact Riz & Mona Consultancy for this purpsoe. We have specialist tax consultants that will provide you complete and satisfactory guidance regarding VAT and other taxes in UAE. You can talk to us via our WhatsApp # 971-56-9971225.